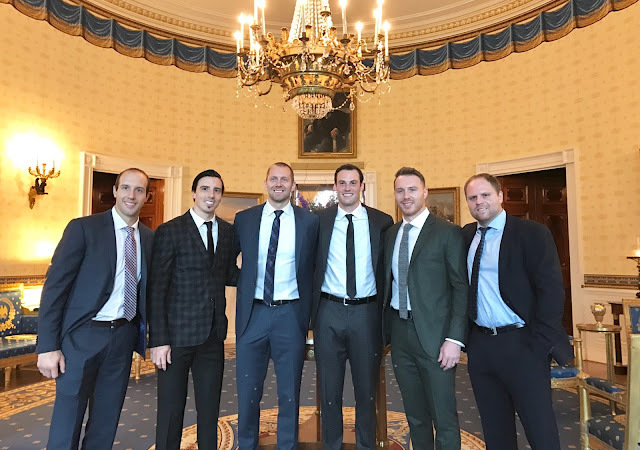 As is the custom for the Stanley Cup Champions to do, the Pittsburgh Penguins met with the President of the United States, Barack Obama. Coincidentally, the Penguins were Obama's guests for his first year in office. They will now be his guests for his last year in office. The Pens didn't disappoint, as all of them look pretty damn good in a suit. But the way this meeting started off, well...it was the greatest moment of any NHL (or, well, any sports) team visiting the White House. Phil Kessel is a Stanley Cup Champion. Wanna read it again? Sure! The POTUS makes his entrance (along with Gary Bettman, Mario Lemieux, Ron Burkle and Sidney Crosby) at about 17:23. There were some interesting tidbits of the day, which included Sidney Crosby recognizing a secret service agent, who used to be a Pens Intern when the Pens won their last cup. Sid shook his hand. This is also known as the most Sidney Crosby thing to ever happen. 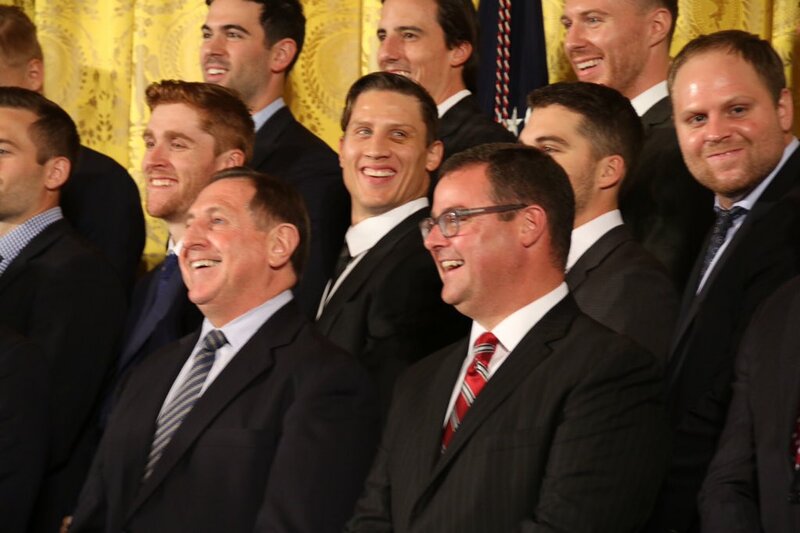 Overall, it seemed like the players and management had fun, and it seemed like Obama had fun. In the end, that's really all that matters. It'll also make for a nice story for her father to tell her when she grows up, "Hey, Maisie, the former president of the United States said your name. Pretty neat, huh?" 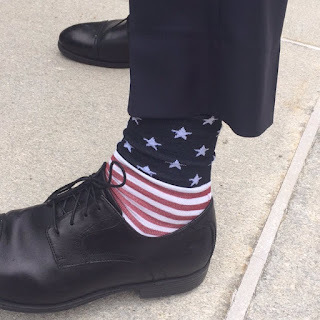 And before we go...take a look at Mike Sullivan's socks. And a happy birthday to Pittsburgh Penguins forward prospect, Jake Guentzel!